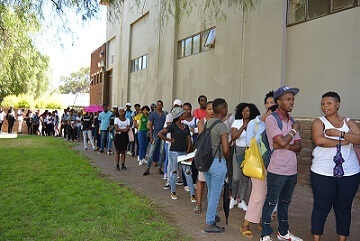 The Central University of Technology, Free State (CUT) was abuzz as those with walk-in applications flocked Bloemfontein and Welkom Campuses in multitudes seeking to secure their space for the 2019 academic year. The day proceeded smoothly as prospective students were welcomed warmly and assisted by CUT staff and student assistants. CUT is truly a university of choice for students. Currently, the space on both campuses is full, as many applicants secured their space well in advance during the application process in 2018. 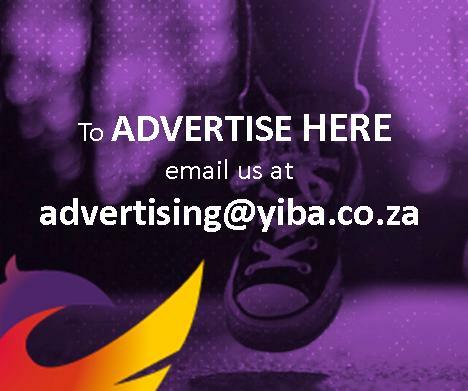 The university has in the past encouraged prospective students to apply on time to avoid disappointment. By the end of the business day yesterday, all programmes were reported to be full as the target for first time entering under graduates in the current academic year is 4568, but some of the students were placed on the waiting lists. Mpho Johannes Makhetha and Mbuiselo Gwelentayi were fortunate to secure a space for admission in Hospitality Management and Information Technology respectively. Both students passed with flying colours – 38 and 40 admission points respectively.